Let your imagination roam free as you create with paper, scissors, markers, crayons, book jackets, and cut outs. Each design will be as unique as you are. Every Tuesday from 10-11 a.m. we have a story time session that includes music or games and crafts. These story times are in English. 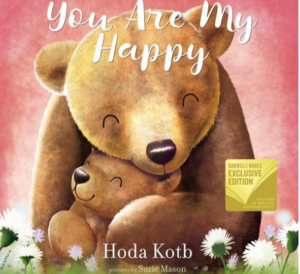 You Are My Happy Storytime Children's Event, Storytime (Children's) Saturday March 09, 2019 11:00 AM In this charming book from Today Show anchor Hoda Kotb, a mama bear and her cub cuddle together for a good night's sleep and reflect on the everyday wonders of life that make them happy.